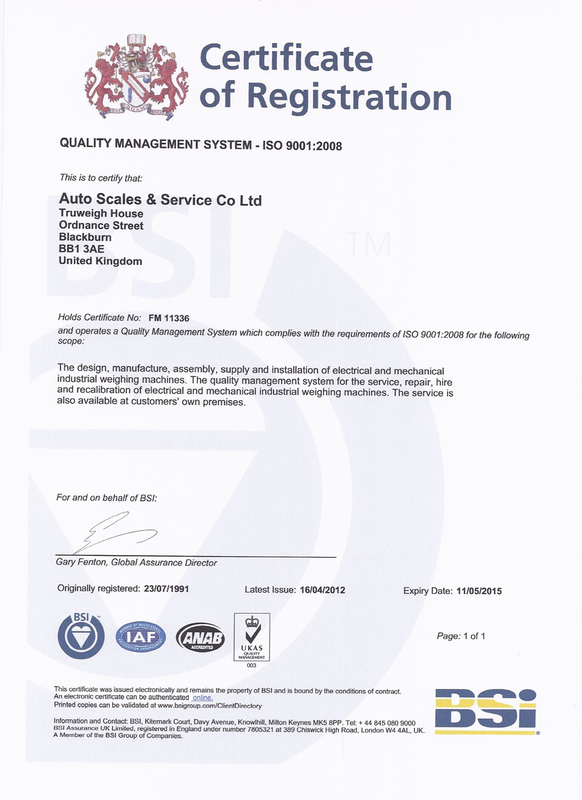 Auto Scales & Service Co Ltd was founded in 1959. Auto Scales has distinguished itself by providing the correct weighing, counting and process systems according to the customer’s requirement. Ranging from laboratory balances to weighbridges. Auto Scales is a family owned & run business with a long serving, professional, dedicated team who offer the customer a friendly and personal service. Auto Scales believes that there is a weighing machine that will fit your requirements. With a choice of a wide range of quality industrial weighing equipment, Auto Scales can supply, service, repair, hire or ISO calibrate most makes and models. With a range of platform scales, counting scales, crane scales, laboratory balances, moisture analyzers, Atex approved scales, axle weighers, weighbridges, pallet truck scales, keg weighers, medical scales, chair weighers, personal scales, baby scales, retail scales, coin counters, note counters, shop scales, labelling scales, mild steel platforms, stainless steel platforms, low profile platforms, digital indicators, displays, balances, loadcells, printers, weights, cast iron weights and stainless steel weights, we are able to supply you with solutions to most applications for weighing, counting & process control. The design, manufacture, assembly, supply and installation of electrical and mechanical industrial weighing machines. The Quality Management System for the service, repair, hire and recalibration of electrical and mechanical industrial weighing machines. The service is also available at customers’ own premises. 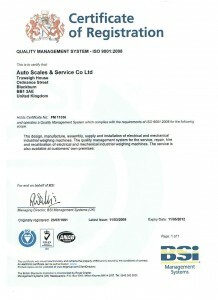 Auto Scales provides calibration traceable to National Standards and certification in accordance with ISO 9001:2008, which can consist of a detailed calibration certification with readings before and after calibration. 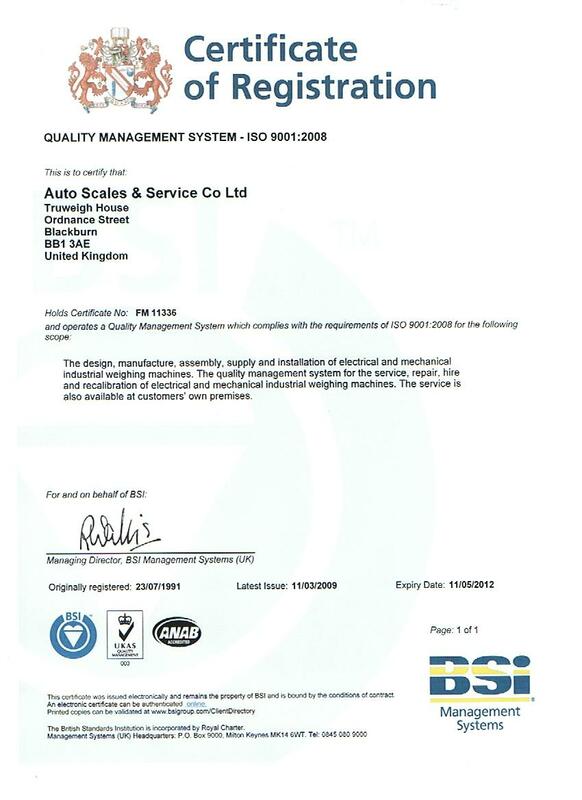 Auto Scales will provide a flexible calibration service, from a one off service visit to a full Auto Scales Maintenance Service Contract with regular visits and certification. Reasons to use Auto Scales are: fast and efficient call out service, dedicated and experienced service team providing a wide coverage, professionalism and experienced technical assistance available and loan scale provision to cut production down time. Auto Scales can provide off the shelf equipment or special custom systems designed for your particular requirements.